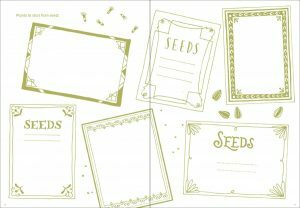 As a plant geek, I’ve been journaling for years in order to keep track of weather and the success and failures of my plantings. I know, for instance, that we had very little snow last year and that it was much warmer than usual. 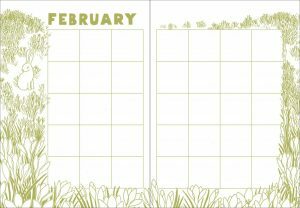 I also keep track of when plants bloom, a big help when I am designing gardens for succession of bloom or creating vignettes that will bloom at the same time. The journal is also a place where I make notes about changes I want or need to make in the following year. I was recently introduced to a lovely journal by the Montenegro sisters. They have a company called The Far Woods that sells their artworks to serve as educational tools and inspiration for reconnection to nature, food, and community. Each page of the journal is decorated with drawings of nature, both flora and fauna. Divided by month and week, the journal serves as a reminder of what has occurred but also is full of timely prompts. For instance: Plants to start from seed; tools to buy, replace, or maintain; perennials to transplant, divide, give away, or compost; color combinations to create and which plants to use; wish lists; good design ideas from gardens of others that you can implement in your own; possible container combinations for this year; bulbs to order for fall planting. There are also several prompts about edibles: which ones to plant, how you will use them, recipes for them. The drawings are a joy and made me want to keep turning the pages to see what would appear next. 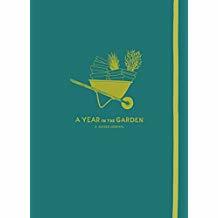 Use this journal for yourself and your own garden or as a gift to other gardeners. Montenegro, Nina & Sonya, A Year in the Garden: A Guided Journal, Timber Press, Portland, 2017.